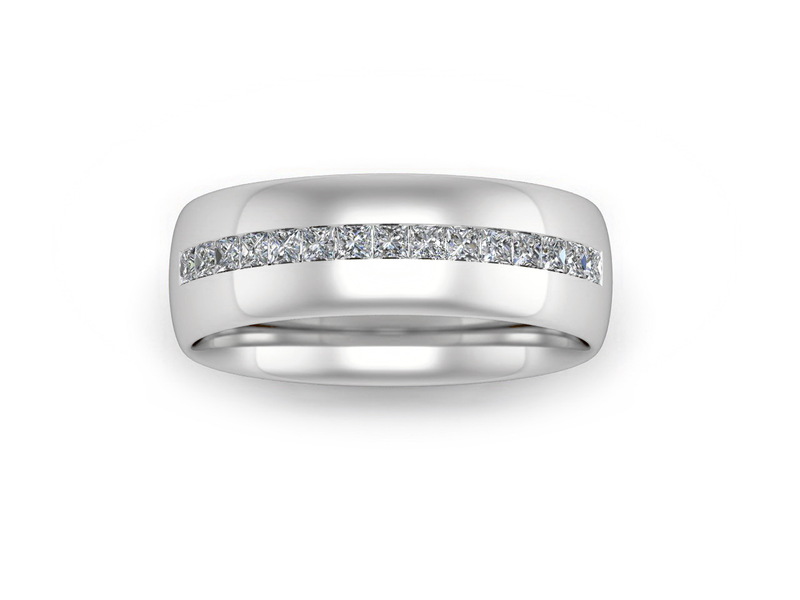 This classic band is channel set with 15 princess cut diamonds. 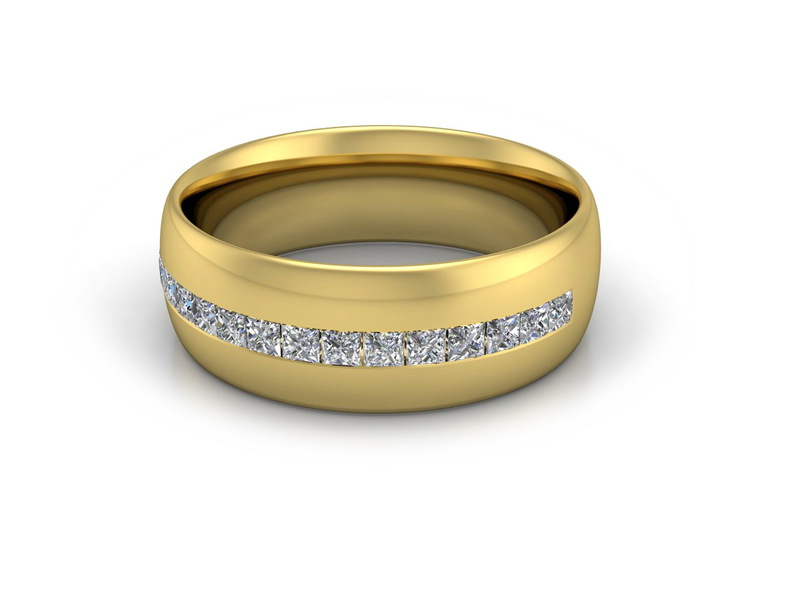 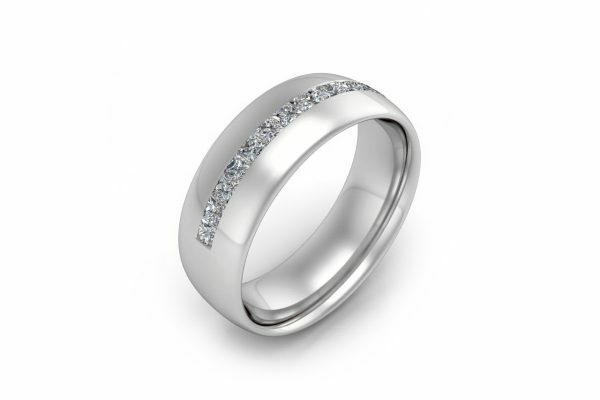 As with all our wedding rings it can be custom made in your choice of yellow, rose or white gold or platinum. 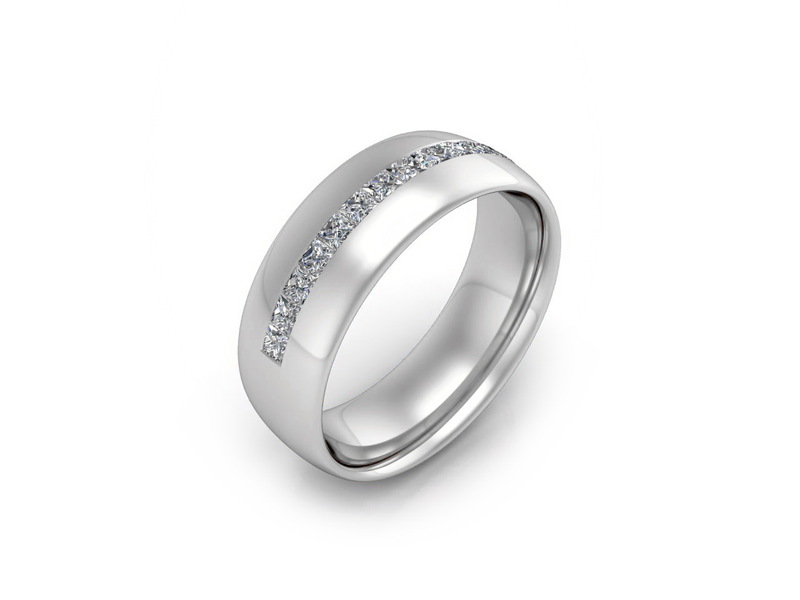 You can also choose from a variety of widths 5.0-12.0mm and 1.8-2.4mm thickness. 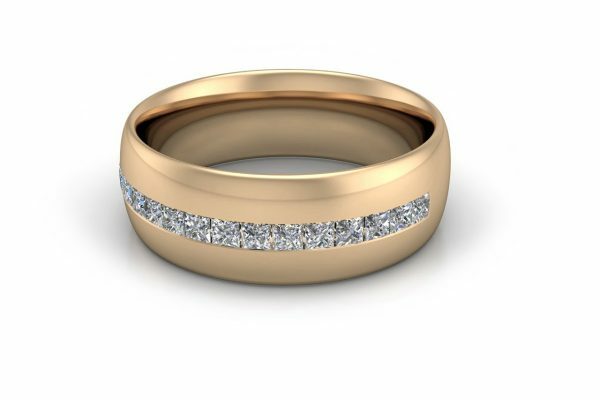 The quality of diamonds used for this design is E-F/VS. 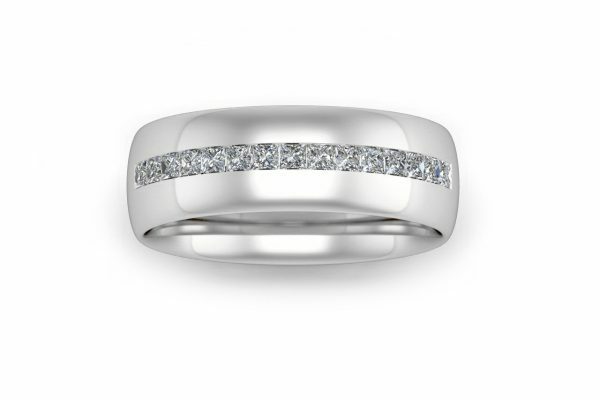 This designer men’s ring is perfect for men who love classic designs with a modern touch.